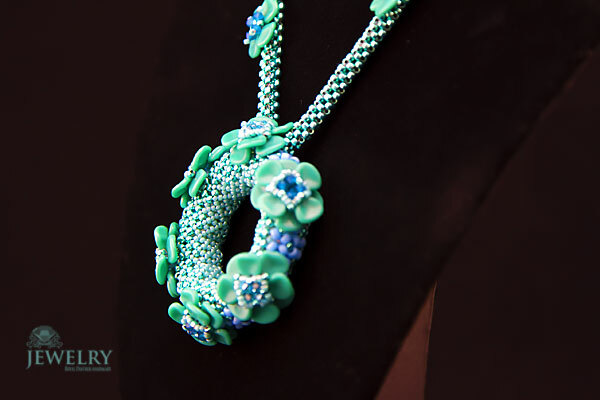 This unique handmade piece of jewelry has been specially designed to make every woman stand out in a beautiful way. 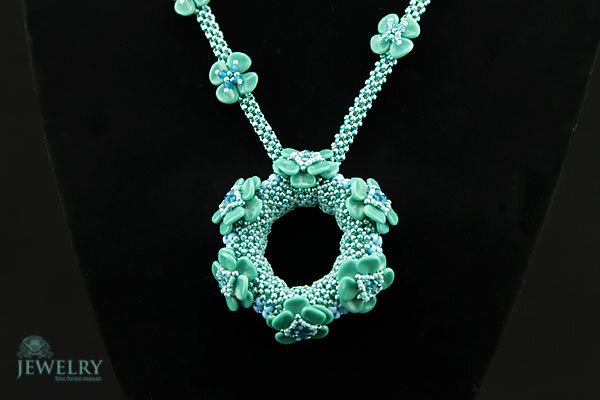 Made with Swarovski elements, this adorable necklace for women will keep you feeling unique, special and confident. 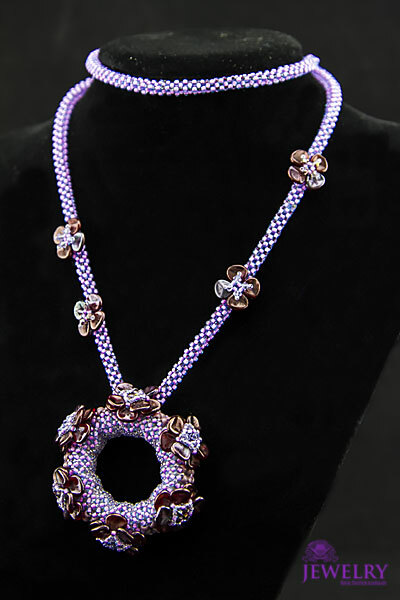 The cute necklace is also made with top quality material that guarantees durability over the years. Rest assured that a piece bought can last for many years and all you need to do is to keep it in a clean and safe place. Quality handmade, one of a kind, paying careful attention to detail. 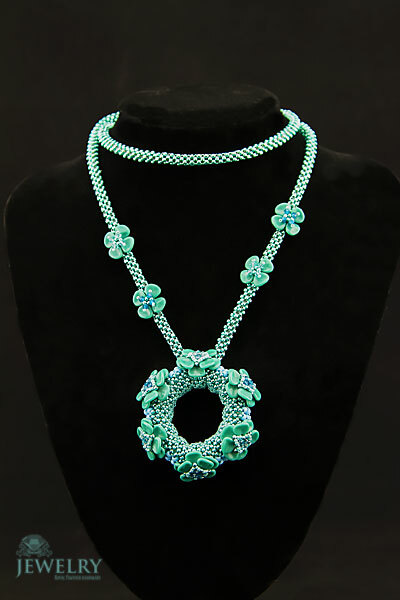 The necklace has also been nicely crafted with roses that oozes nothing else, but class and beauty. The 6cm x 6cm ring size medal has also added ultimate sophistication to the piece of necklace. 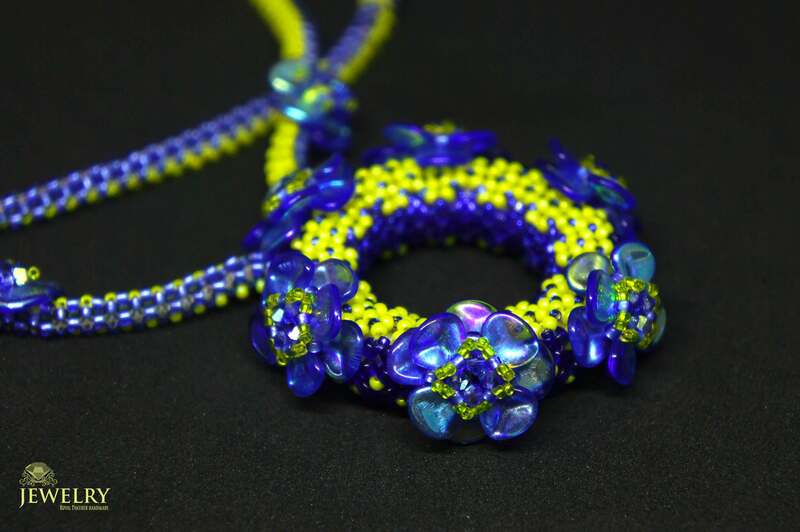 Besides, the adorable Toho beads used in making this jewellery have simply made it extremely attractive and a good sight to behold. 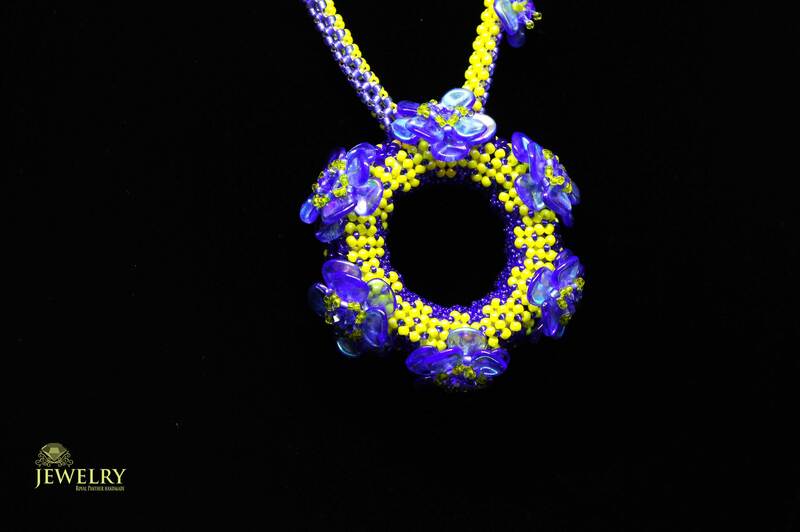 Available in three colours, notably Green, Purple and Yellow/Blue, this 41 cm long necklace for women is versatile and can complement different kinds of outfits, be it formal or casual. 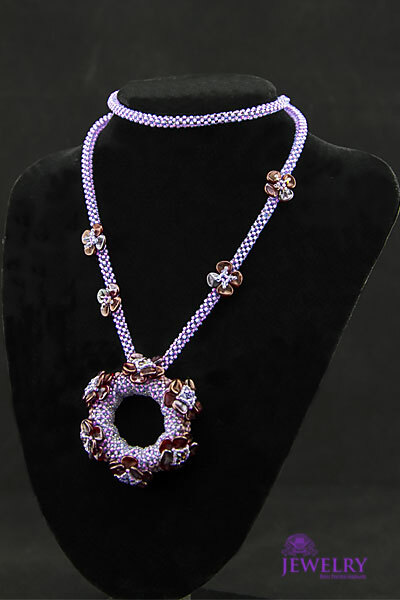 The top-quality necklace for women is also one of the most affordable necklaces you will ever find in a jewelry online shop.